In My Own Words: Freshman talks performing in Beauty and the Beast Jr. 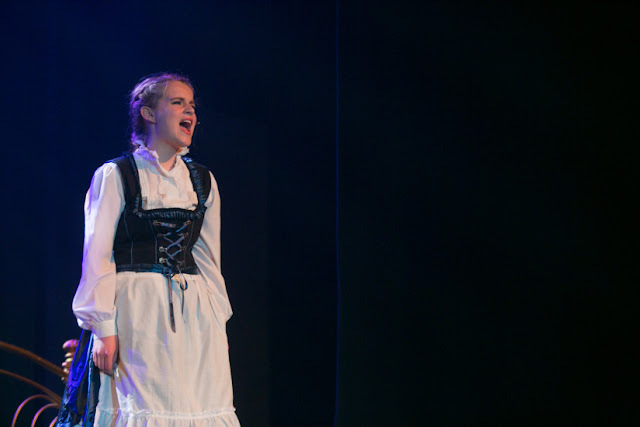 In this installment of In My Own Words, Hannah Miller talks about her experience performing in Cavod Academy’s production of Beauty & the Beast Jr.
“There goes the baker with his tray like always, the same old bread and rolls to sell…….” Walk to right stage and move your way over to stage left while maintaining correct pitch and having facial expression. Putting on a musical is a lot of work, especially when it is done in two weeks. 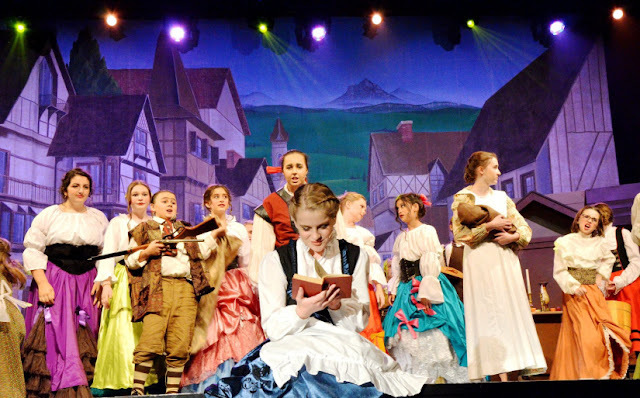 Over the summer I had the privilege to be a part of Cavod Academy’s production of Beauty & the Beast Jr. It was a summer camp in the span of two weeks from 9 am to 3 pm every week day. Our days would start with worship and then we would have a bible lesson that had to do with parts of our script. When the weeks started we worked on music and our big dance numbers like Belle, Gaston, and Be Our Guest. But as the weeks went on we began to work on blocking and fine tuning. The entire camp was held at the junction center. Because of this the main characters got to go on the radio to help promote the show. But also Cavod got to use a much bigger facility than the one they are used to in their New Holland facility. This allowed us to do things we would not have originally been able to do.